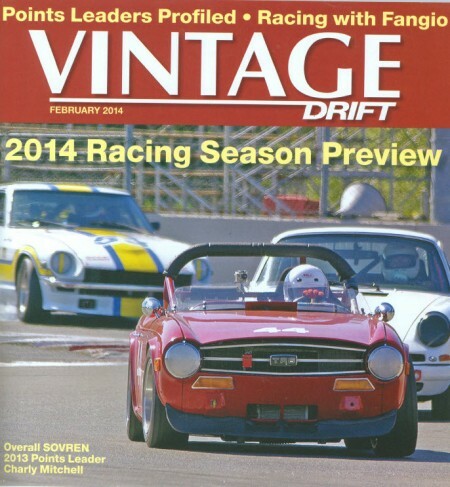 The latest issue of Vintage Drift, SOVREN’s excellent quarterly magazine has just been released. Included in the articles – with many great photos – is a review of the final 2013 standings in each of their Race Groups (some of our VRCBC racers are in there) and a preview of their 2014 Race Season. Our own BCHMR is again on the SOVREN points-eligible schedule this year and we look forward to seeing many of our friends from south of the border in August.